These tours are for absolutely everyone of all ages and persuasions. You can stand, sit or kneel on the boards because they are inflatable so very comfortable and safe. You can take the kids two up, with snorkels too. You can even get a tow at any point if the paddling is not to your fancy. 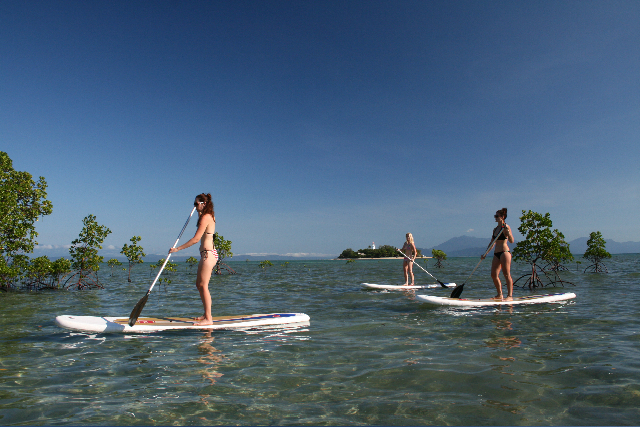 The challenge and thrill of stand up paddling is addictive and all the rage. Added to the family attractions is the chance of a kitesurf session for the more adventurous as the tours are run by renowned kitesurf operator Windswell tours Port Douglas. Book NOW and get a FREE kite intro experience ! 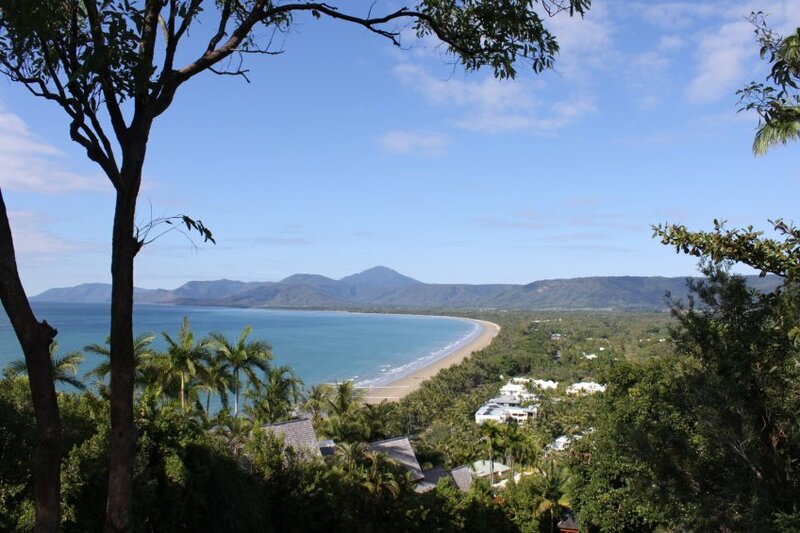 To get to Port Douglas via Cairns is very easy from anywhere in Australia. No passport, language, phone, currency or vaccinations to organise. Friendly locals, Lots of cool cafes and restaurants, and the most awesome tropical ambiance imaginable. Cheap air tickets are easy to book online yourself and a massive range of accomodation options and tourism infrastructure like transfers are on hand. And did we say its WARM. 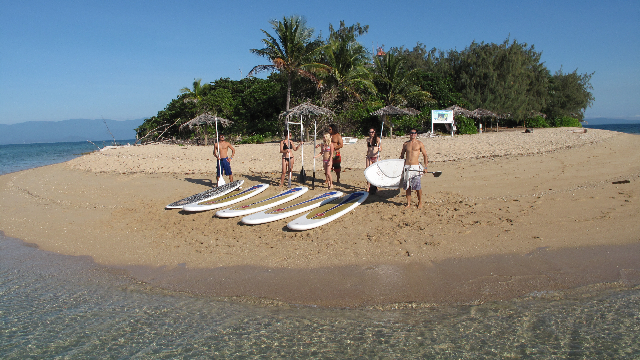 Why not be spontaneous and come up for a day or two of warm kite and paddle sessions. Remember you help Australians by holidaying in Australia. Its CARBON CONCIOUS as well as keeping your hard earned cash CIRCULATING IN OZ. Both big bonuses for you as well as the future.